8" high with pale lilac flowers. It's just perfect for the ribbon borders where it bakes in the sun and is short enough to not get wind-battered by the south westerlies ! Dinky isn't it....I'd better get one to cope with our winds too.! This photo is of species Agapanthus. 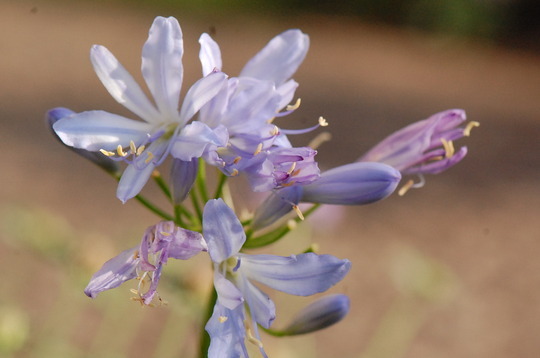 See who else has plants in genus Agapanthus.